Austin 360 Roofing Becomes a Versico Authorized Contractor | 360 Roofing, LLC. 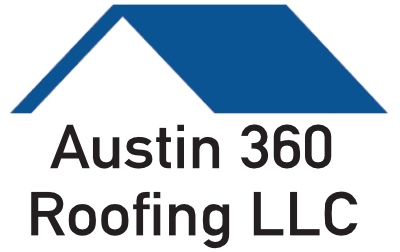 (AUSTIN, TX – April 29, 2011) Austin 360 Roofing, a central Texas-based company, announced today that it is now an authorized installer of Versico Roofing Systems products. By completing a training and certification program, Austin 360 Roofing is authorized to install Versico’s entire line of single- ply roofing systems and accessory products, and offer its customers unmatched Versico Warranty Services. As a Versico authorized contractor, Austin 360 Roofing has proven its commitment to quality installations and dedication to customer service, meeting Versico’s strict requirements for top-quality craftsmanship and excellent service for every customer. Austin 360 Roofing will offer Versico roofs to customers with commercial buildings. Reflective roofing materials that reduce energy consumption and costs are one of the options available for commercial structures. Each Versico product has its own specific requirements for installation, so completing the Versico certification process ensures that Austin 360 Roofing is supplying its customers with the appropriate roof for their particular structure and ensuring that the roof is properly installed. Austin 360 Roofing is backed by Versico’s design support team to provide technical knowledge and assistance for even the most complicated roof system design. Once the Versico roofing systems are installed, Austin 360 Roofing’s customers will be warranted for 5 to 30 years, depending on the job specifics. Versico has a successful eighteen-year industry track record and is one of the largest providers of single-ply roofing systems in the world. With its wide range of single-ply roofing systems, Versico has the ability to meet all of your roofing needs. For more information, visit www.versico.com.